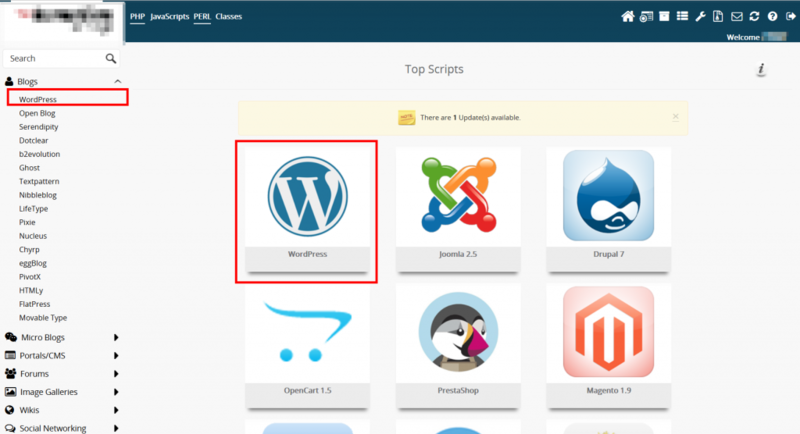 BoldGrid is now featured in the WordPress section of the Softaculous installer tool. This allows you to install WordPress and BoldGrid at the same time. In this tutorial, we demonstrate how to activate the BoldGrid option for WordPress within the Softaculous tool and how you can Install BoldGrid using Softaculous. Note: These instructions are for Softaculous version 4.8.8 or newer. Be sure to update your Softaculous if needed. Click on the Softaculous icon located in the Software category. Find the Blog category in the left-hand sidebar and click the WordPress option, or click on the WordPress icon in the right panel. 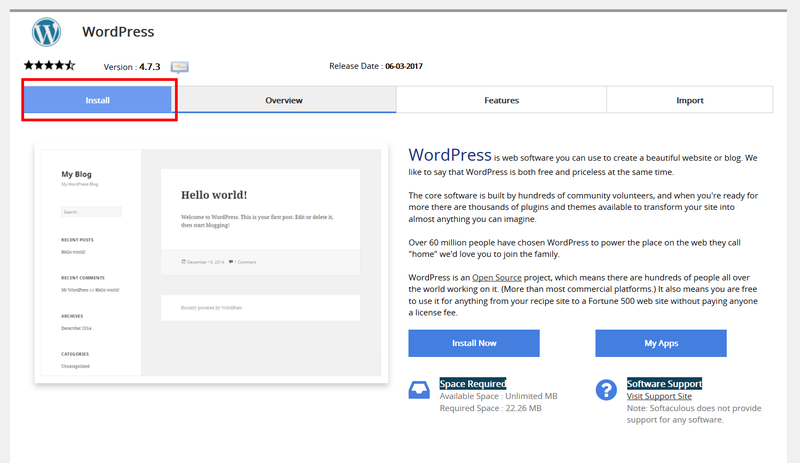 From the WordPress page, click on the Install button. Enter the Software Setup information. Select whether you want to use the www in front of your domain name or not. Also, if you have an SSL installed on your domain, you have the option to choose the HTTPS protocol. Select the domain to which you are installing BoldGrid. If you want to install BoldGrid into a sub-folder (example.com/subfolder), enter the folder name you want in this field. The folder CAN NOT yet exist. If you are installing onto the main domain name (example.com), then leave the field blank. Next, enter your Site Settings. Give your BoldGrid site a name. Give the site a subtitle or a tagline. Create the username for your admin account. Please do not simply use ‘admin’. Create the password for the admin account. Be sure to make it strong! Assign an email address to the admin account. Choose your site’s language. This defaults to English, but you can select many other options. Select the BoldGrid checkbox. Without this step, you will not have BoldGrid!